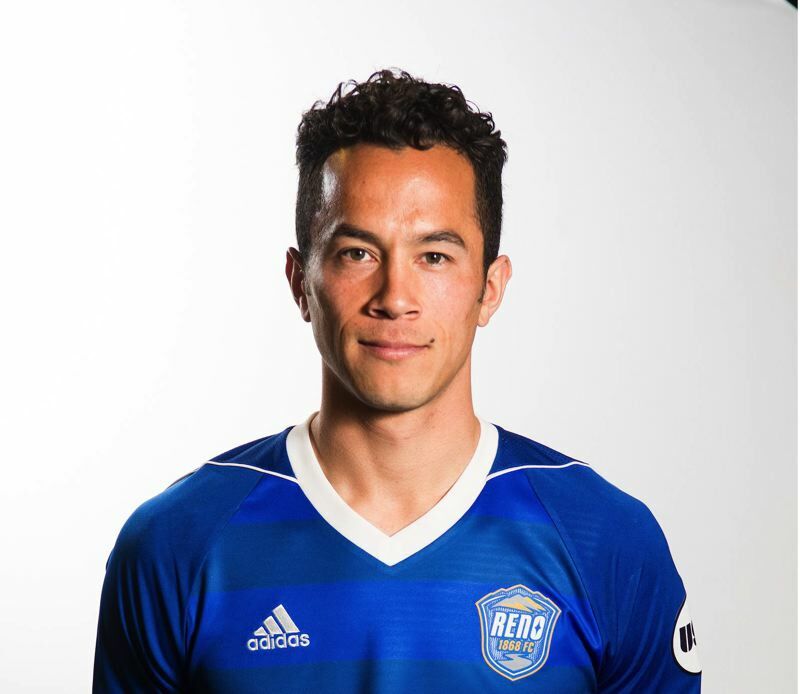 Former Portland Timbers homegrown player Brent Richards has found a soccer home playing the right back position for Reno 1868. Richards headed to Reno a year ago with friend and former T2 teammate Seth Casiple, which made the transition fairly smooth. And the shift from forward to fullback is coming along. "I do like defense," Richards says. "It's probably more fun to play forward and score goals, but it's not like I don't get to attack at all. The way we play, the coach loves it when outside backs get forward." A dynamic forward during his days at Camas (Washington) High and the University of Washington, Richards was named MVP of the Premier Development League in 2010, helping the Timbers' under-23 team to an unbeaten, untied season and the PDL championship. After showing promise in the 2012 MLS season as the Timbers played out the string under Gavin Wilkinson, Richards' career took an unwanted turn. In one of the first training sessions of Caleb Porter's coaching tenure, Richards suffered a knee injury. It took more than two years and several surgeries for Richards to fully recover. He played in 35 matches with Timbers 2 in 2015 and 2016 before moving to Reno's USL expansion club last season. Reno coach Ian Russell, a former Washington Husky who played for and was an assistant coach with the MLS San Jose Earthquakes, reached out to Richards. Richards says Reno is a fun place to play, with crowds of 5,000 to 7,000 at Greater Nevada Field, home of the Reno Aces Triple-A baseball club. Now 28, Richards doesn't spend time dwelling on where he might be without that knee injury. "It was a tough several years, and there were times when I wondered if I would play again," he says. "I'm happy it turned out all right and I'm still playing — not necessarily at the level I was hoping I would be playing at but it's good to still be making a living doing what I love." Richards had an assist on Saturday to help Reno beat Orange County, 3-1, and lock up the No. 5 spot in the Western Conference playoffs. Reno will visit Real Salt Lake on Saturday in the conference quarterfinals. • Fresh off of a 1-0 win Saturday over Phoenix Rising FC to wrap up the regular season, Timbers 2 will return to Arizona on Friday for a conference quarterfinal playoff match. T2 is the No. 6 seed, Phoenix Rising the No. 3 seed. • Some Portland Thorns starred on Sunday as the United States and Canada clinched their place in the 2019 FIFA Women's World Cup, June 6-July 6 in France. Tobin Heath had two goals, both set up by Lindsey Horan, as USA beat Jamaica, 6-0, in the CONCACAF Women's Championship semifinals. Christine Sinclair scored twice in Canada's 7-0 semifinal win over Panama, giving her 177 goals for Canada and bringing the former University of Portland star to within seven goals of Abby Wambach for the all-time lead in international goals for women or men. The U.S. and Canada will play at 5 p.m. Wednesday at Frisco, Texas, for the CONCACAF title.